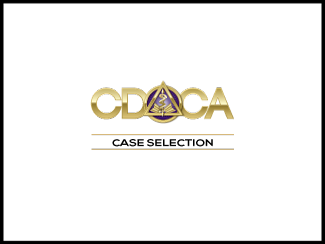 In this presentation we will discuss case selection for the 2019 CDCA administered ADEX Dental Hygiene Examination. 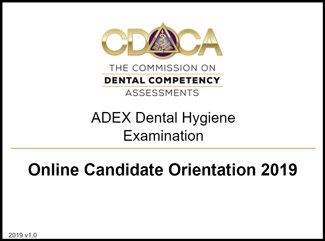 We are excited to offer our dental hygiene candidates these additional resources. This video takes you through the exam day process from beginning to end. This video demonstrates the candidate registration process. The video demonstrates the candidate entering the clinic floor and preparing to meet with the CFE. This video demonstrates the candidate during the pre-treatment check-in process with the DSM and pre-treatment evaluation of the patient. This video demonstrates the operatory set up process. This video demonstrates the candidate during treatment and post treatment meeting with the DSM. This video demonstrates the post-treatment evaluation of the patient and the candidates post-treatment check-out process.